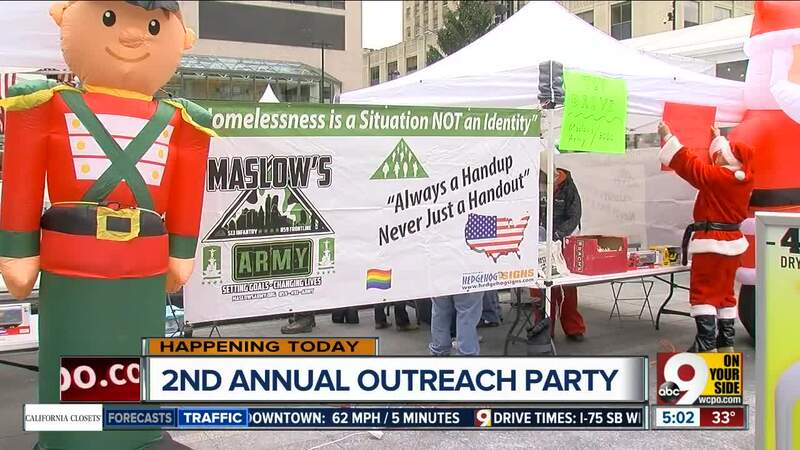 One year after Ken Martin died out in the cold, Maslow's Army, a local nonprofit that works to help people experiencing homelessness, honors his life of service by providing help to those experiencing homelessness this holiday season. 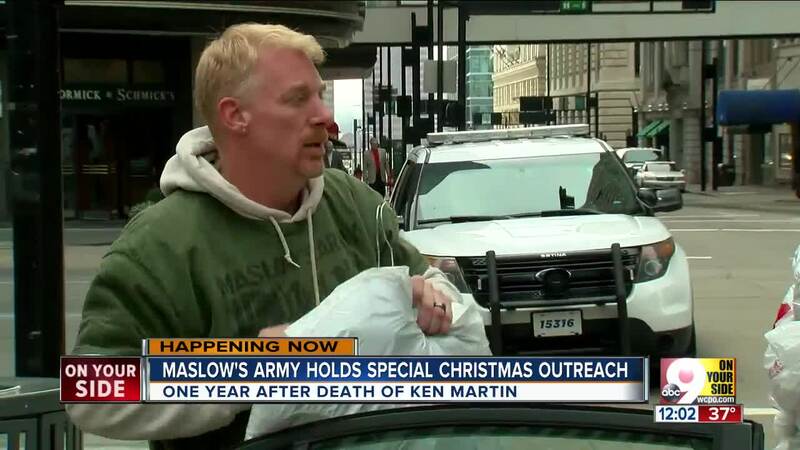 CINCINNATI — One year after Ken Martin died out in the cold, Maslow's Army, a local nonprofit that works to help people experiencing homelessness, honored his life of service by providing help to those experiencing homelessness this holiday season. “Ken Martin was our friend," Samuel Landis, president of Maslow's Army, said. "Ken was a server to his fellow man and I truly couldn’t think of a humbler way to honor him then to do a Christmas day outreach for those experiencing homelessness." In honor of Martin and his service to the community, Maslow's Army teamed up with Our Daily Bread, the Clifton Mosque and other community partners to offer lunches, gifts and much more on Fountain Square on Christmas day. Martin was found unconscious by Cincinnati police officers near Government Square the morning of December 26, 2017, and according to Sgt. Eric Franz with the Cincinnati Police Department, "died from unknown cause and there was nothing suspicious at the scene." "I often ask myself what has changed in Cincinnati since his untimely passing?" Landis said. "I then remind myself that Cincinnati’s nonprofit agencies are working collaboratively to help those experiencing homelessness."